Nena, could you tell me some more about this? Also there are rumors Aleksei wore crest given to him in 1909, with St John's remains from Jerusalem. 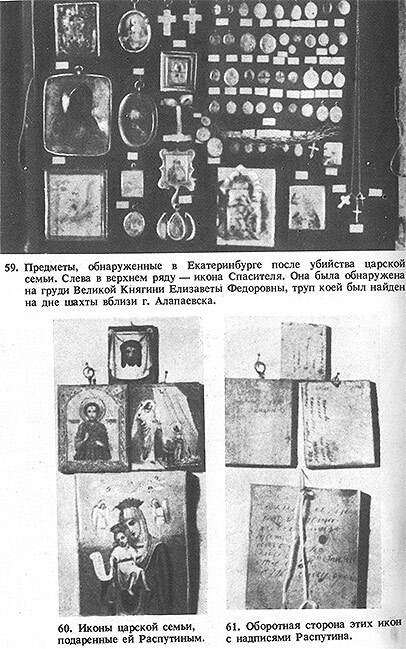 I don't see any icons of Rasputin in those photos of the IF's possessions. Just icons of Christ, Theotokos Mary and other Saints. The big icons are of Christ - looks like maybe the one which is "Made without hands". Hard to tell without seeing the whole icon. 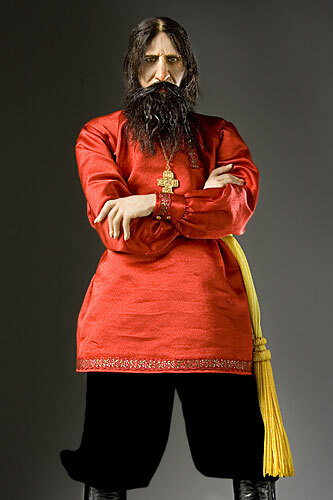 I'm interested in whether or not people here think that Rasputin should be considered for being put on an icon. Granted, not everyone here I expect to be Orthodox Christian, but based on your opinion of him, is he equal in holiness to others who have been canonized? Maybe this is a topic somewhere else already. If so, I apologize! I am not Orthodox, but I do not see any reason to over look Rasputin's "dark side" and put him on an icon. 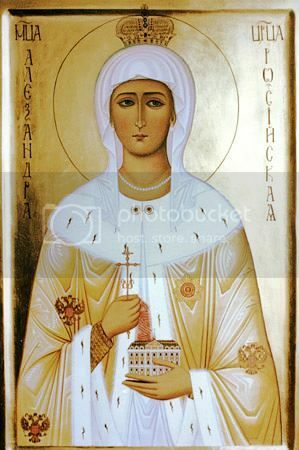 Perhaps an Orthodox believer could tell what the criteria for being put on an icon are? Well, the reason icons were even created in the beginning (which actually, was during the time of Christ- there were already icons of John the Baptist: Wikipedia will refute this, I am only going on what my priest told me) was to help illiterate masses understand and learn the stories and figures from the Bible. Those who could not read the Old Testament (and eventually the New) looked to icons to become educated about important events and people of Christianity. Many icons are not just depicting a person, but also an event, such as the Assumption of the Virgin Mary; I have even come across an icon depicting the execution of the Romanovs- executioners painted in and all. Of course the executioners are not saints, and being depicted on an icon is not trying to say they were so. It may be rather hard to "define" the criteria for being put on an icon. To the best of my knowledge, if the Orthodox Church believes something worthy of canonization, or if it is an event in which holy people/places are involved, it can be an icon. Something interesting to note, however, is that there is variation between the "sects" of Orthodoxy. When I say "sect" I am lightly using it to describe the separation of the Russian Orthodox Church and say, the Greek Orthodox. For example, the Romanovs are viewed as Saints by the Russian Orthodox Church Outside Russia (ROCOR), but not, in fact, by the Russian Orthodox Church itself (which claims them martyrs, or Passion-Bearers). I hope that helped, I feel like I didn't really answer the question well. Some other Orthodox person, feel free to jump in! Only a Saint can be depicted on an icon, with a halo. Sometimes, there are icon-style paintings made of venerable people before they are glorified, but they are not icons, and should not be venerated as such. Grassroots "popular" veneration of a holy person usually leads to glorification as a Saint by the Church. The Romanovs are viewed as Saints by the Russian Orthodox Church - they are Passion-bearers, a 'form' as it were, of Saint, just as martyrs, unmercenaries, etc are also different 'types' of Saint. George Stuart - Historian, Artist & Entertainer. That is truly scary. If he truly looked like that, I wouldn't be within one hundred miles of him for any reason. Alexandra how could you subject your children to a man whose very presence would be classified as child abuse and child endangerment? I wonder it too...and also I wonder how she could give her complete trust to a man like that, compromising not only her reputation (that actually wasn't good already), but the reputation of her husband as well...the human mind it's a mystery. She did want to believe that the ordinary peasant was closer to her than the aristocracy. She wanted to believe that the the ordinary Russian was closer to God. I suppose, in her mind, his filth and smell made that all true.